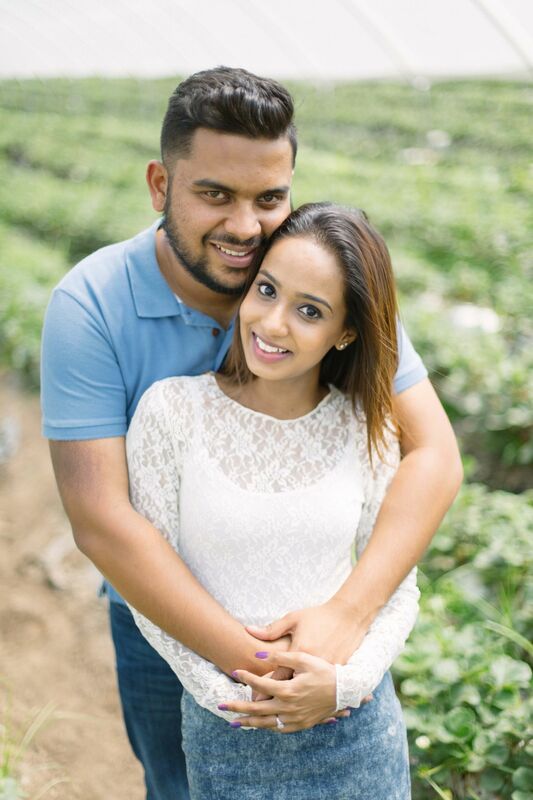 On the 2nd November 2017, Selwyn got engaged to Terina. 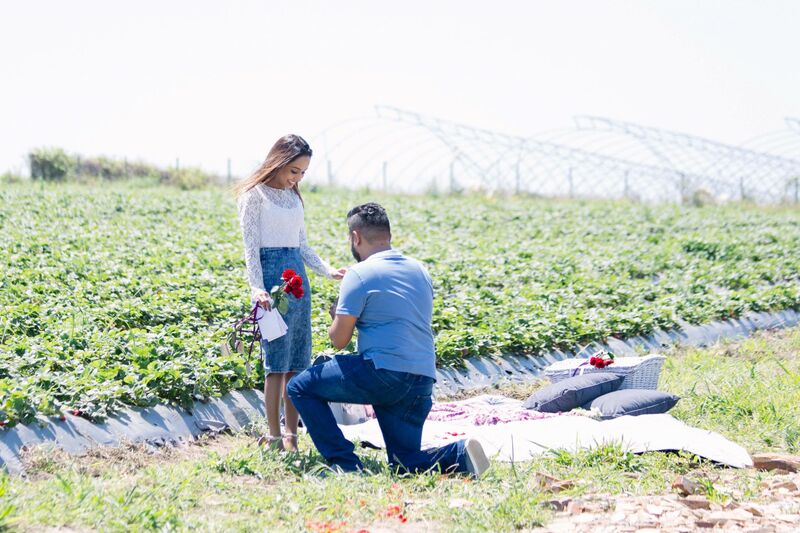 Selwyn approached us a while back with an idea to propose on a strawberry farm. 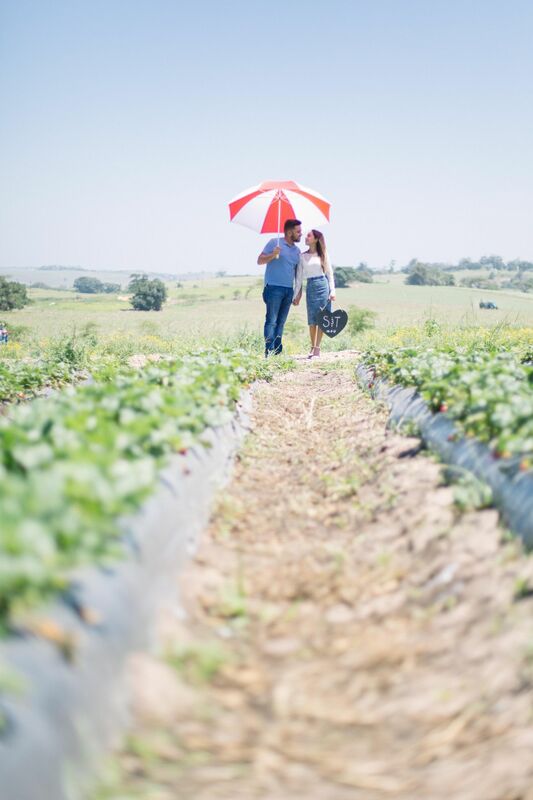 We had never done one of these setups before so we set out in search of a strawberry farm in KZN, and much to our delight discovered the hidden gem of Cappeny Estates in Ballito. 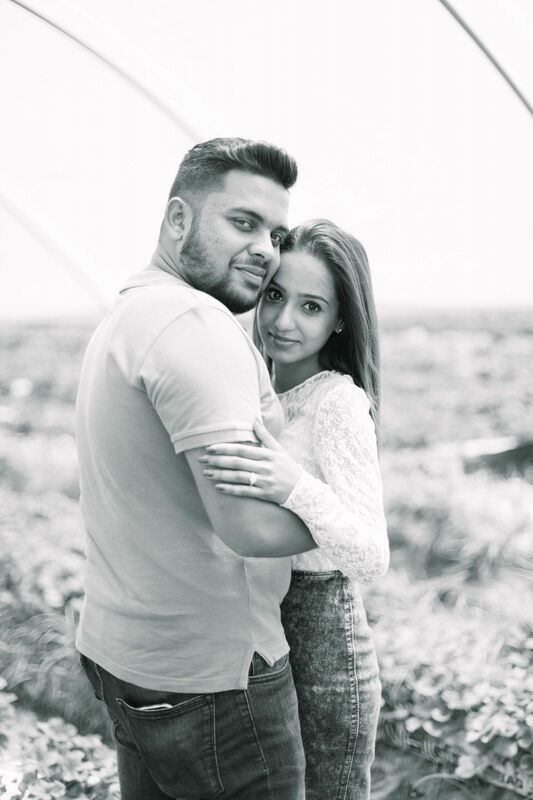 This proposal was going to be all about the finer details and Selwyn wanted to include all of Terina’s favourite things as well as add in very personal touches along the way. 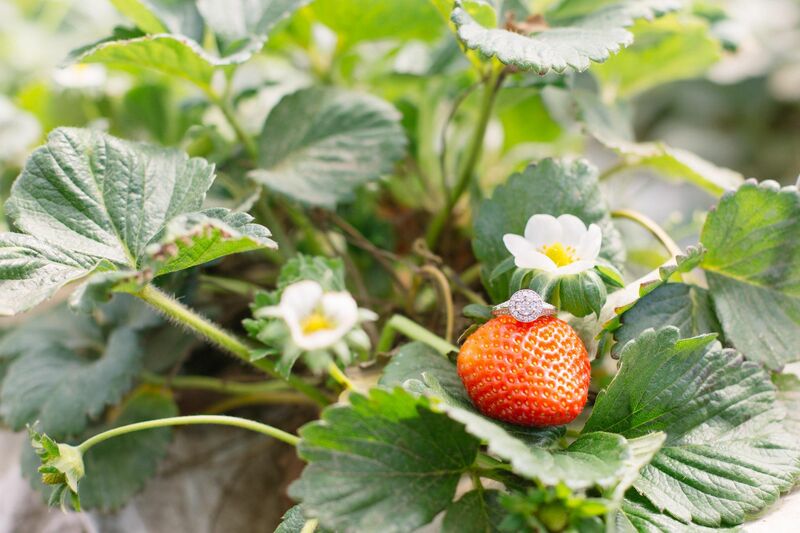 A beautiful summers day made for the perfect backdrop to the strawberry fields. We set-up a purple themed picnic spot with a picnic hamper containing all of their favourite snacks and treats. The walk up to picnic site was a very important element of the proposal as we had wooden signboards with love quotes at different stages along the path. Placed at each signboard was a single rose and an envelope containing a photograph of the lovely couple and a message to Terina. We just love adding personal touches to a proposal setup and noted and photographs are such a great way of doing so. On arrival at Cappeny, Terina thought that they were just coming for a picnic and to pick strawberries. Little did she know that at the end of the walkway Selwyn would get down on one knee and ask the girl of his dreams to marry him. Our amazing photographer Debbie was a real trooper and had been hiding in the bushes the whole time capturing each special moment along this couple’s journey together. 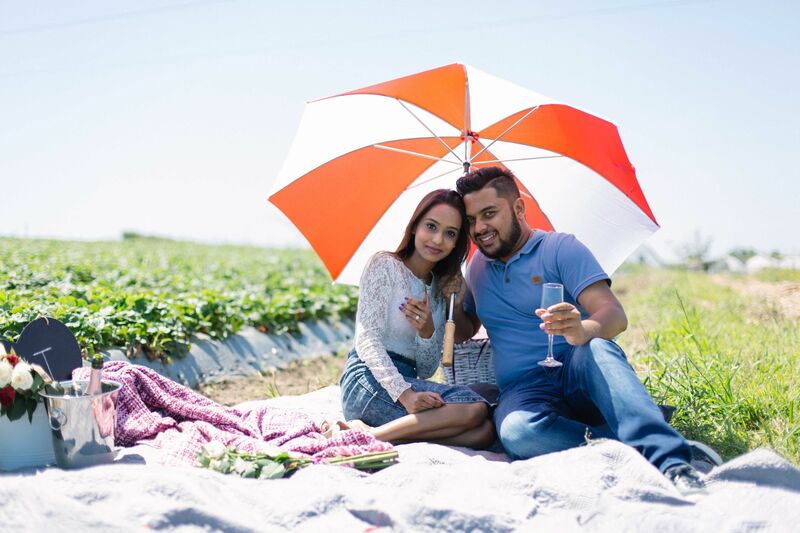 After some celebrating Selwyn and Terina enjoyed the couples shoot amongst the strawberries making for some beautiful and unique photographs to treasure.